6 dollars sounds an exaggeratedly small amount to pay for a page of written content, especially from a service that promises ‘’top quality essay solutions’’. To be able to offer such low prices, a company would not be able to work with the expert writers this service mentions on their website. And still, all this information is present there, without a certain way to check if they are true. Thankfully, there is a way to learn this. We’ve done our own research and wrote a 6dollaressay.com review that will tell you everything you need to know. Customers of 6Dollaressay can find plenty of papers to order here. The list isn’t complete, but it certainly has plenty to offer. If you select this service to get your papers from, you can order essays, term papers, dissertations, thesis, articles, and everything else that is commonly assigned in educational institutions around the world. The pricing is different from other companies’ pricing criteria. Yes, prices are based on deadlines and paper quality, but paper quality is limited to two choices only: standard and premium. Whichever you use, you are going to find the prices amazing, especially if you are like most students – on a limited budget. Still, $6 or $8 for a page for a paper ordered within 10 days is a very unrealistic price, especially for a company that promises great papers. Even the most expensive rates here are unbelievable and over 50% lower than those of companies that are truly reliable. The shortest deadline is 12 hours and the price for this deadline is $22 for a page, which is lower than the cheapest price of many companies! Knowing this, would you believe that there is even a discount added to these rates? And not just any discount – 25% off your first order. This means that you can get a paper for only a couple bucks, which is too good to be real. The pricing told us everything we need to know about the service and why their reputation isn’t so great, but we still continued with our research. After ordering the cheapest paper we have ever paid for, we got the worst paper we have ever received. This paper was obviously written by a non-native English writer, and one with very poor English writing skills for that matter. Most of it didn’t make sense at all and we couldn’t edit it even if we wanted to. Because of this, we contacted the customer support and filed the longest complaint ever. The customer support agent only saw our complaint, and didn’t even bother to reply! It is no wonder why this company is so cheap and unpopular. Students would instantly feel convinced to buy from a company that charges a quarter of what most companies charge, but this is not a good idea with 6dollaressay.com. 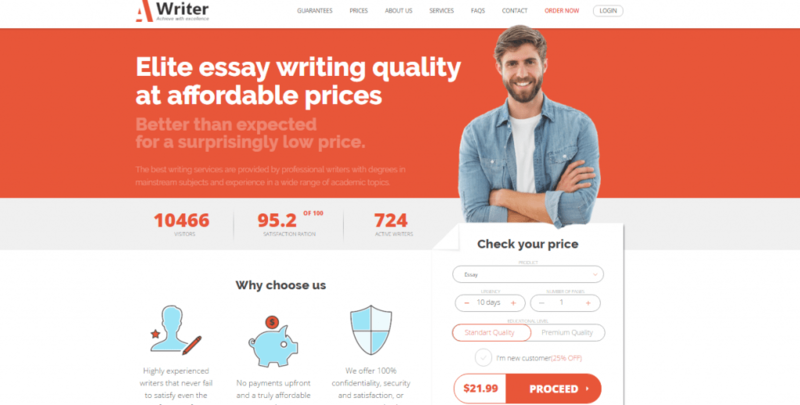 Despite the amazing prices and the unbelievable discount you’ll find on their site, 6 dollar essay is a wrong choice for your papers because of the terrible quality and customer support.